In this blog written primarily for health professionals, Asad Abbas, a trainee paediatrician, looks at Cochrane evidence on skin-to-skin care and pain in neonates. If you ask any adult, they’d tell you how comforting it is to have the warm embrace of a loved one when they are going through a tough phase in their lives. In neonatal units, the closest thing to a warm embrace for babies is a technique called skin-to-skin care (SSC) or ‘kangaroo care’ (KC), that was initially developed to keep babies warm, but has shown to be an effective means for maintaining physiological stability and promoting better behavioural responses in babies, or in simple terms, keep them comfortable. But can SSC help with the pain of babies undergoing painful procedures? In this blog, we look at the evidence from a recent Cochrane review that tries to answer this question. Babies in hospital requiring medical care often have to undergo painful procedures sometimes for diagnostic procedures, like heel prick, at other times to administer treatment e.g. cannulation to administer medicines. Even procedures like suctioning and removal of dressings can cause quite a bit of discomfort to neonates. There is evidence that in addition to being painful in the short term, exposure to painful procedures can have adverse neurodevelopmental outcomes on the developing brain. We have come a long way in our understanding of pain in neonates and its management; however gaps in the knowledge still remain. In addition, studies have shown that the use of pain relief still remains underused in neonates for most daily painful procedures. Sucrose is perhaps the most commonly used pharmacological means of pain relief in neonatal units in the United Kingdom, and is available as a liquid solution in small plastic containers. It has been shown to be effective and safe in neonates. There is limited evidence on the use of parenteral analgesics in neonates and some studies have found them to be unsafe. Local anaesthetics have not been found to be effective in babies. Apart from medicines, several behavioural means of pain relief have been tested and found to be effective. These include manoeuvres like non-nutritive sucking, rocking, tucking and positioning. SSC is one such method. 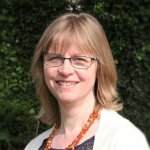 There is evidence from this Cochrane review that sucrose is more effective in relieving pain when used with other non-pharmacological methods, like non-nutritive sucking and SSC. The challenge for us caregivers is to balance the provision of effective pain relief while avoiding adverse effects in this most fragile population. How can skin-to-skin care help with pain? 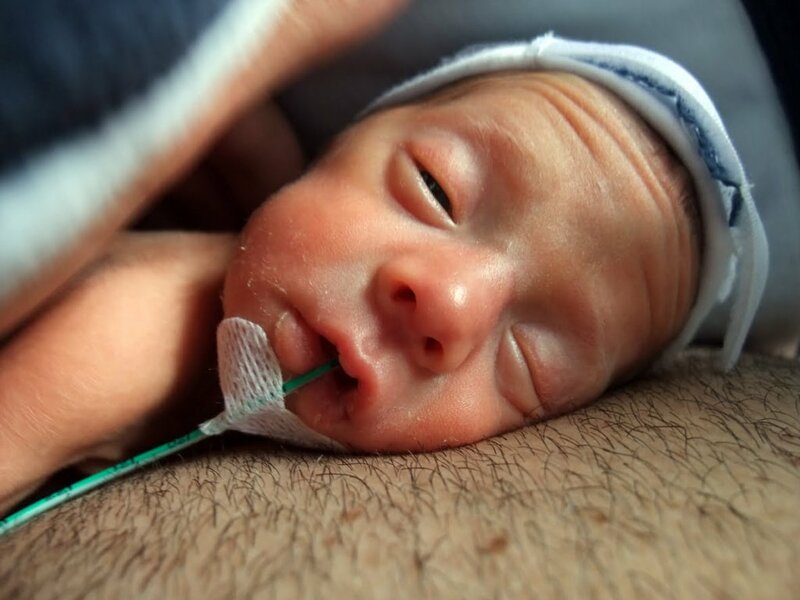 There is growing recognition that when parents are involved in the care of their babies in neonatal intensive care units (NICUs), it has a positive impact on the growth and comfort of the neonate. This positive impact works both ways; when parents are more closely involved in the care of their babies, it has been shown to allay their anxieties about their babies’ care, and makes them feel more reassured in their parental role. Based on this premise, St James’s University hospital in Leeds has taken the initiative of what’s being called “family integrated care system” which puts parents in charge of the majority of care of their preemies, the results of which have been very promising so far both for the parents and the babies. Given the advantages of SSC shown in various studies, such as improvements in the baby’s physiological stability and temperature and behavioural responses, it is logical to assume that SSC would have a positive impact as an intervention for pain. This Cochrane review tries to answer the question whether SSC is an effective intervention for pain in neonates as opposed to no intervention for painful procedures, and compares it to other interventions for pain like sucrose and other analgesics. It also aims to find out the right amount of time of SCC, the right way to do it, as well as its safety and effect on infants of different gestational age. Since it is very difficult to establish the degree of pain in neonates, studies use surrogate markers for pain, that could be behavioural, like duration of cry or facial grimace; physiological, like changes in heart rate, oxygen saturation; hormonal, like serum cortisol levels, or composite pain scores like Premature Infant Pain Profile (PIPP) and Neonatal Infant Pain Score (NIPS), or a combination of the above. Is skin-to-skin care an effective intervention for pain? Seventeen studies with 810 babies were combined to compare the effectiveness of SSC to no treatment. SSC was found to be effective when comparing duration of crying, PIPP at 30, 60 and 90 seconds after the procedure, heart rate during the procedure and NIPS both during the procedure and recovery. It showed no benefit over the control intervention when heart rate variability, oxygen saturations, heart rate following the procedure and PIPP at 120 seconds were compared. Using the GRADE approach, the quality of evidence in studies favouring SSC was graded as moderate for studies comparing PIPP score at 30 and 90 seconds, duration of crying, and NIPS during recovery; low for PIPP score at 60 seconds, and very low for the studies comparing heart rate during the procedure. The latter was attributed largely to one study with a large effect that skewed the pooled analysis in favour of SSC. For studies showing no benefit of SSC over the control intervention, the quality of evidence was high for studies comparing heart rate following the procedure, and low to very low for those comparing heart rate variability and oxygen saturation. Does it matter who provides skin-to-skin care? Two studies were used in this analysis. No difference in effectiveness of SSC was noted between SSC provided by either parent. However, it’s important to note that parents may not always be available to provide SSC e.g. for procedures done out of hours. In such cases, perhaps pharmacological interventions like sucrose alone should be used. How does skin-to-skin compare to other treatments? Three studies compared SSC with glucose/sucrose, used alone or in combination. Two of these studies favoured SSC over glucose. The third study found SSC to be more effective when used in combination with sucrose than alone. Studies comparing SSC to breastfeeding, expressed breast milk and enhanced SSC (SSC enhanced by the mother rocking, singing and offering a pacifier) found no advantage over standard SSC. What’s the ideal duration of skin-to-skin care? Two studies compared the duration of SSC using different outcomes, both seem to favour 30 minutes to either longer or shorter duration. Other studies used different durations ranging from two minutes to three hours but made no comparisons, so no conclusions could be drawn from them. This review included 25 well-designed studies, however, not all studies could be included to test different outcomes because of differences in designs or the methods used to measure outcomes. SSC probably is an effective intervention for pain during procedures for neonates. When compared to glucose/sucrose it is probably better, and may have a synergistic effect when used together. SSC is an effective intervention no matter who the provider is. Based on current evidence no conclusions can be drawn about the ideal duration of SSC or whether it is differently effective at different gestations. None of the studies showed any adverse effects. The notion that newborns can feel pain was treated with skepticism by both researchers and clinicians until the late twentieth century, so much so, that major surgeries on neonates were performed without the use of anaesthetics well until the mid 1980s. It’s important to remember that activism from parents, along with landmark work by some researchers played an important role in changing that perception. We have come a long way. However, the role of parents in caring and providing comfort to newborn babies in the neonatal unit continues to be underutilized, and so does the use of interventions to reduce pain in neonates during procedures routinely undertaken in the nursery. Skin-to-skin care is a safe and effective intervention that has a two-pronged benefit of reducing procedural pain in neonates as well as allowing for greater parental participation in the care of their babies. There are still, however, gaps in our knowledge of neonatal pain in general as well as some aspects of SSC. As the authors of the Cochrane review pointed out we are still not sure what is the right duration of SSC, how it affects infants of different gestations and whether the effect diminishes with repeated use. As more neonatal units adapt SSC in the care of newborns, more data should become available and we should have answers to some of these questions. Dr. Asad Abbas MBBS, MD, MRCPCH, is a paediatric trainee (ST4) in the South-West (Peninsula) deanery. He did his undergraduate medical training and MD - Paediatrics from India, following which he was appointed as International training fellow in Paediatrics at Queens Hospital in London. His interest includes neonatalogy and paediatric infectious diseases. He is an advocate for promoting healthcare research in developing countries and is working on a project to help researchers from developing countries undertake quality research. I would like to know where you got permission to use that photograph of mother and baby. In my experience, SSC and light pressure applied for about five minutes over the site prior to the procedure is more effective.